Ayjay Group are experts in temperature applications and design. We design engineering solutions to meet the application, often requiring bespoke build and manufacture, and in conjunction with the User Requirement Specification (URS). 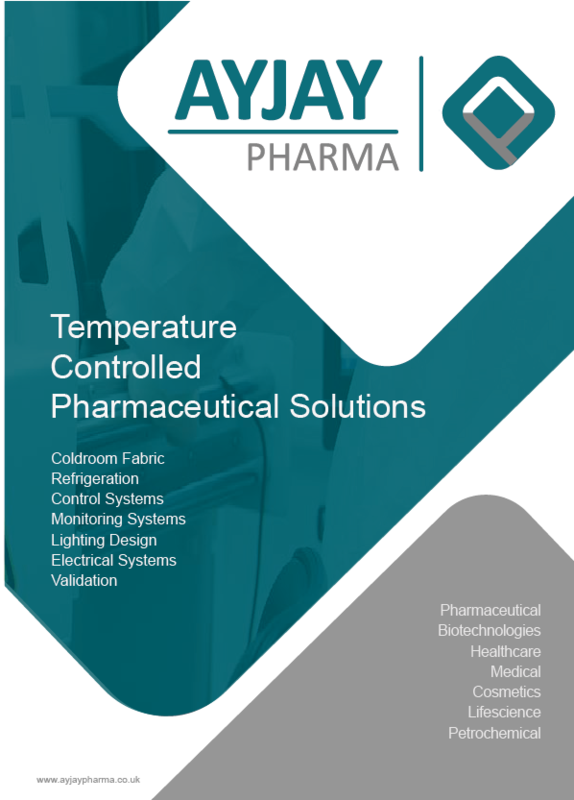 We understand that in a pharmaceutical environment, creating the correct temperature controlled condition is critical for protecting your valuable product. We design solutions to meet expectations and URS, to focus on working alongside you, going the extra mile to deliver the solution you need. We have the flexibility to produce turn-key projects, with our experienced design teams, producing solutions that are in line with exacting customer requirements. Taking the project from design conception through to completion, we make sure the customer has a dedicated project management team to ensure a transparent and seamless process. We have in-house design engineers working on electrical and mechanical, with expertise in thermal dynamics. Design and installation experts with many years experience within the pharmaceutical industry. Wide range of experience creating solutions for all types/size of temperature controlled storage.